As promised by Gautham Menon, the director of Vinnaithaandi Varuvaayaa, the audio of the film will once again be launched in Chennai on January 2nd 2010. Soon after the music release in London, Gautham said that the idea to launch the audio in London was due to the fact that music director AR Rahman is a universal figure and to show to the world that he is from Tamil Nadu. 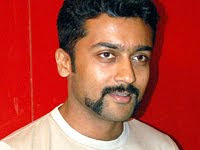 However, the director decided to launch the audio once again in Chennai and has arranged for a grand function on January 2nd 2010. VTV is the much expected film of the year and stars Silambarasan and Trisha in the lead roles.